This broom is perfect for dusting off floors, walls and tables. Looks and works great in combination with the black metal dustpan. 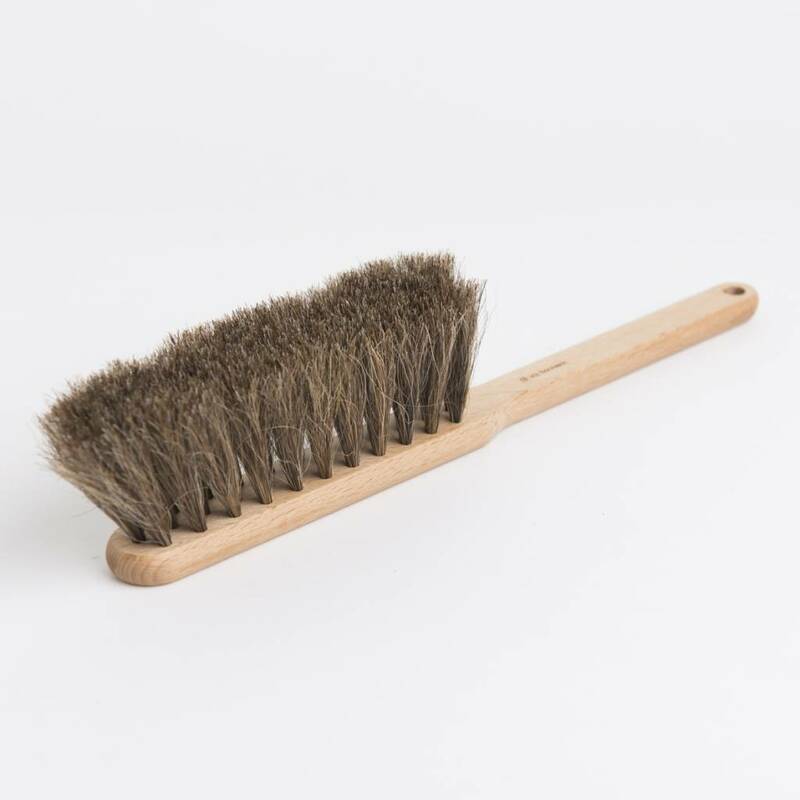 This brush is made out of oiltreated beech and horse hair. 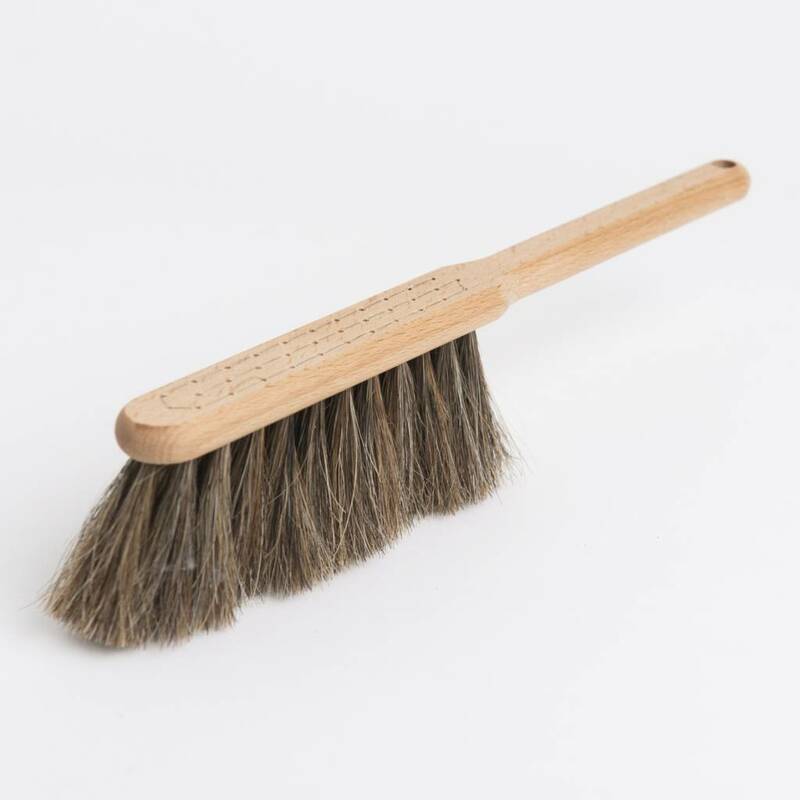 The horsehair bristles can be carefully cleaned with warm water and mild soap, then left to air dry on a clean cloth. Completely wetting the wood is not recommended. But you can wipe something off with a damp towel.